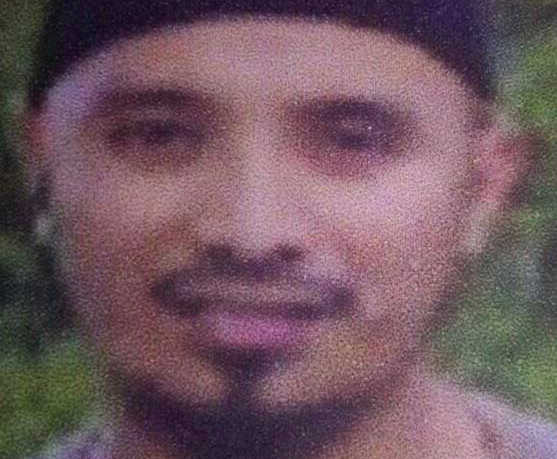 Abu Dhar, who was appointed Islamic State’s ’emir’ – or regional commander – following 2017’s siege of Marawi. Military chiefs believe they may have killed the Islamic State’s Southeast Asian chief Abu Dhar during clashes in Lanao del Sur. It is believed that one of four suspected terrorists killed in a gun battle on Thursday (March 14) was the regional leader — or ’emir’ — of the terror group, who was anointed following the death of Isnilon Hapilon in the siege of Marawi in 2017. The four militants were killed in a clash between government forces and suspected members of the Dawlah Islamiya Lanao in Tubaran town. Four government soldiers were also killed on the battlefield. Colonel Romeo Brawner, commander of the Philippine Army’s 103rd Infantry Brigade, said they were confirming whether one of the casualties was Abu Dar — also known as Owayda Benito Marohomsar — based on physical similarities and scars from previous injuries. “He was hit in the face, so his face was deformed, so, there are doubts that it is Abu Dar but there were signs,” he said. “For instance, he had a scar on the face and those who knew him testified that the scar could prove that it is him. The military is now submitting DNA samples to Scene of the Crime Operatives to confirm the identity of the body. Col. Brawner said it would take at least a month for them to get the result. Hundreds of families fled their homes in Tubaran and Pagawayan during this week’s fighting.